After about 30 minute of intense combat on Horseshoe Ridge, Johnson’s Division falls back. 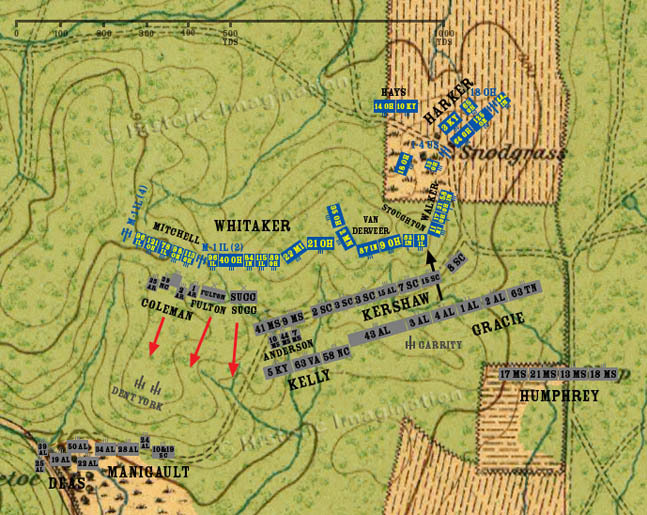 General Kershaw orders Gracie’s Brigade to attack, without General Preston’s knowledge or consent. Kelly’s Brigade is not yet deployed and cannot advance with Gracie, yet another uncoordinated attack against the ridge.